Remember the goodie I wanted (here)? I ordered it from the Zhush and couldn't wait for that baby to arrive. When it did, it was wrapped and inside was the loveliest hand written thank you from Sue. Made my day! Here's what I did with my little gem. Happy weekend to you and your fabulous family. I really adore the gold wishbone and seriously think I need one of those. A girl can never have to much luck on their side. What a great look!! Simple & gorgeous! Love the wishbone; love the comments! It all made me smile and laugh out loud. That wishbone is gorgeous. Love how you framed it as well, may it bring luck your way. Happy Weekend, how's the weather in Calgary? Icky like ours? 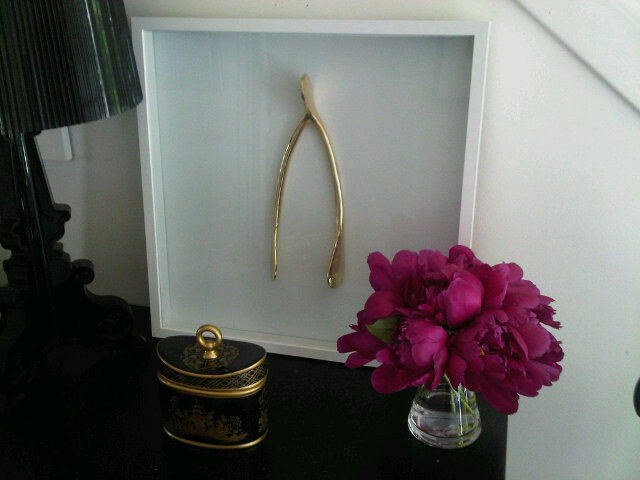 Ooh, that wishbone is fantabulous, the frame just sets it off perfectly, such a good idea Erica!! Hey, it really looks great! How did you get it to "stick"? Hope it brings you luck!! It looks so beautiful framed in white with your bright pink peonies on your dark table...love it all! p.s. the color of your peonies is exquisite. I LOVE that. So simple yet so stylish! I hope it brings you tons of good luck. Have a great weekend! Erica it is so cool that you framed your wishbone from Sue!! She has the best pieces in her shop! Gorgeous! And those peonies aint bad either!! Hope the sanding went well Victoria! Natasha- I bought some "power tack" at the dollar store. It's my new fave! 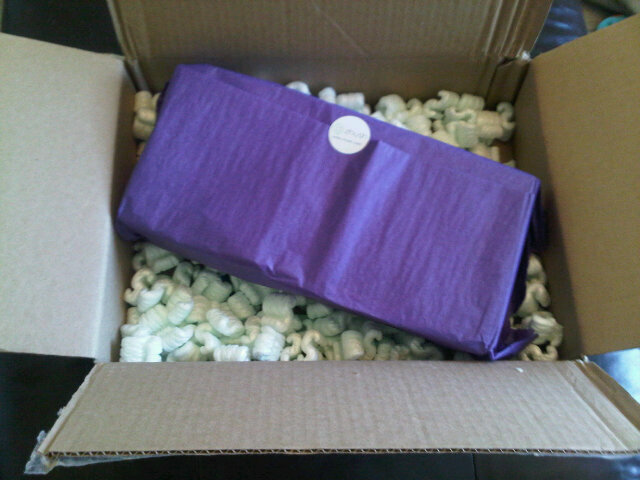 Annie, Anita, Tiffany, Karena, Ari, Haute Couture, Julie and Lauren, Paula thanks so much for the lovely comments! I'm pretty smitten with my new addition. So chic! I love how you have it displayed!